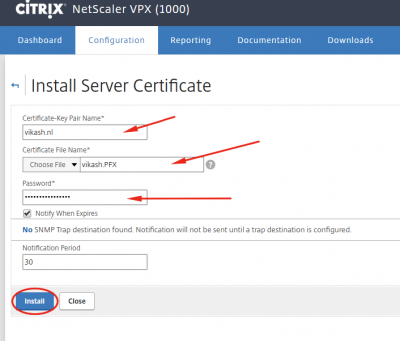 Import pfx SSL certificate on Citrix NetScaler is something you will do when using Citrix NetScaler. This proces is easy, so just a quick blogpost about that. Just make sure that your pfx file contains the certificate and the private key. Also make sure that it is password protected and keep it in a safe place. You don’t want this falling into the wrong hands. 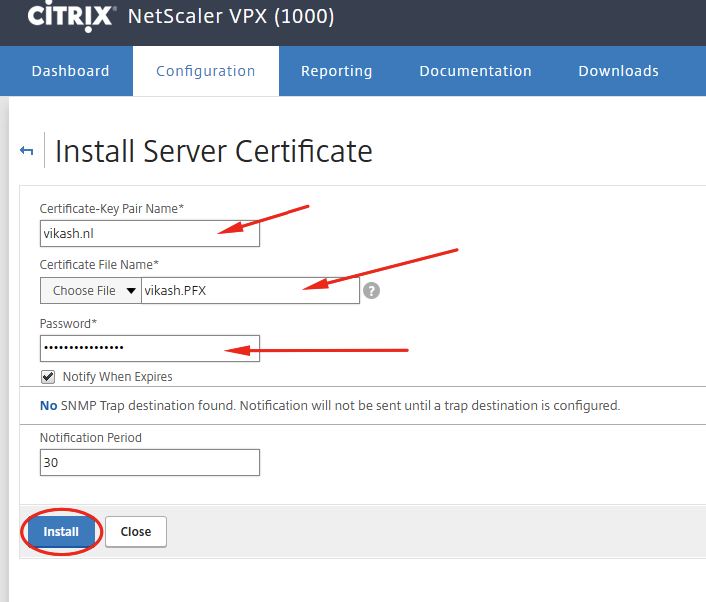 Browse to the NetScaler GUI using a webbrowser and login. In my case I use the nsroot account. 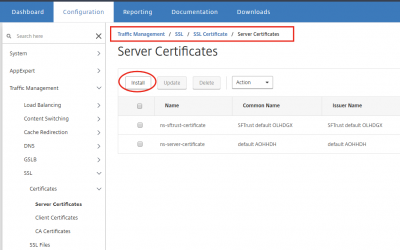 Go to Traffic Management -> SSL -> Certificates -> Server Certificates and click on Install. 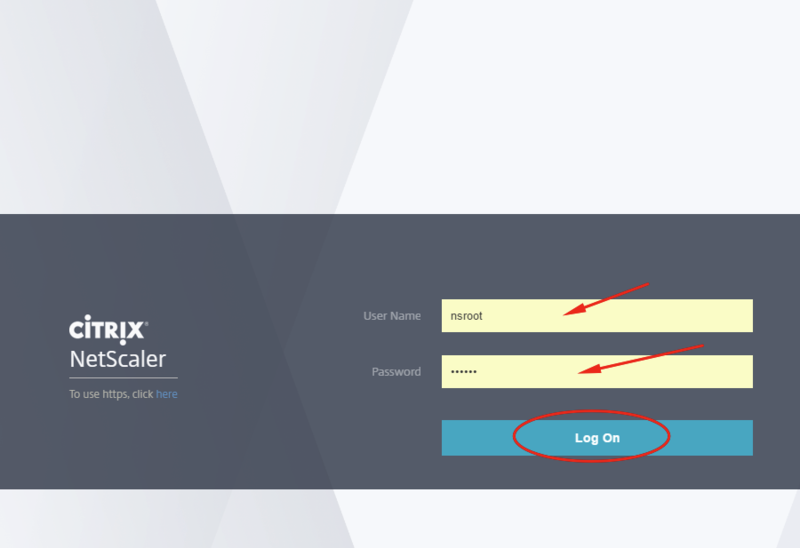 Enter a name and browse to your .pfx file using the Local option (click on the arrow after the word Choose File). Then enter the password for the .pfx file and click on Install. 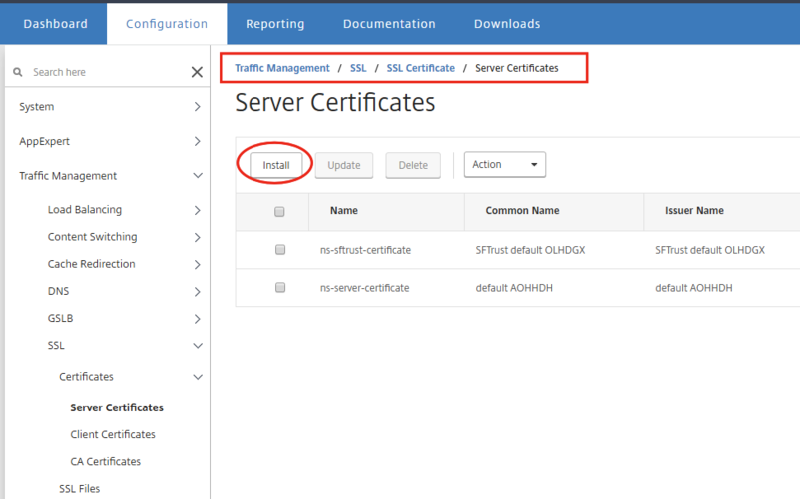 You should see now that your certificate is available to use on the NetScaler. This concludes this tutorial. Feel free to contact me of you have any questions or comments. You can also follow me on twitter or add the rss feed from the blog and you will be notified when I add new posts.